All makes & models repaired! Air Conditioners, Heat Pumps, Gas Furnaces, Electric Air Handlers, Commercial Packaged Units, Mobile Home Units, Refrigeration Units. Service Call Fee includes first hour of labor on all quick repairs. Free 2nd Opinions for all quoted or recommended repairs from other licensed contractors. No Cost – Labor and Part Warranty on any type of repair. Selling and installing name brand products you can trust. Trane and Ruud are industry leaders and A.I.R. can provide the latest technology with the best brands in the HVAC industry. Improve your comfort level, indoor air quality and save energy with our 26-Point A/C Inspection or with a 26-Point Furnace/Heat Pump Check-up. We visually inspect the complete heat & air system including indoor/outdoor units and duct system. We also review refrigerant levels and electrical performance of all your HVAC equipment. Includes a 15% discount on any parts needed. 1 lb. of 410A Refrigerant. Condenser / Heat Pump Coil flush. Drain treatment. Electrical and Blower Fan Performance Readings, Duct Work Inspection and much more! Be Ready for the Hest! A.I.R. Plus is a Christian-Small-Locally Owned and Operated Heating, Cooling – Air Conditioning Service Contractor, with a 2-man team, proudly serving Choctaw, Harrah, Midwest City, Del City, Jones, Mcloud, Luther, Newalla, Stella, Bethel Acres, Spencer, Dale, Nicoma Park and the Eastern Oklahoma County – Metro Area. 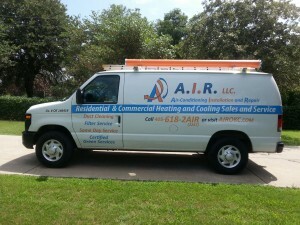 Repair, Replacement or a regular Tune-Up for residential and light commercial HVAC systems. From HVAC/Refrigeration sales, installation, repair and service , we are here to help you! Please feel free to call with any questions or requests you may have concerning our services and products. “In God We/I Trust!” – John 14:1 God Bless America and You! Repair Options with flat rate pricing! *Restrictions may apply. Rates may vary. We Guarantee our Work and Your Satisfaction. All work and equipment is covered by limited warranties. A.I.R. Plus strives to get you the very best coverage based on your budget. 10 year warranties are standard for both Trane and Ruud HVAC systems. All labor and parts are warrantied for 1 year after installation. Extended warranties are available for all Trane and Ruud equipment. A warranty is only as good as the people that stand behind it! And A.I.R. Plus is prepared to stand behind all its workmanship and equipment.